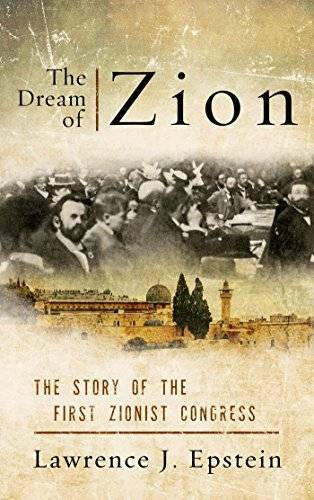 Lawrence J. Epstein, "The Dream of Zion: The Story of the First Zionist Congress"
The Dream of Zion tells the story of the Jewish political effort to restore their ancient nation. At the First Zionist Congress in Basel, Switzerland, in August 1897 Theodor Herzl convened a remarkable meeting that founded what became the World Zionist Organization, defined the political goals of the movement, adopted a national anthem, created the legal and financial instruments that would lead to statehood, and ushered the reentry of the Jewish people into political history. It was there in Basel that Herzl, the man some praised and some mocked as the new Moses, became the leader. The book provides an overview of the history that led to the Congress, an introduction to key figures in Israeli history, a discussion of the climate at the time for Jews—including the pogroms in Russia—and a discussion of themes that remain relevant today, such as the Christian reaction to the Zionist idea.